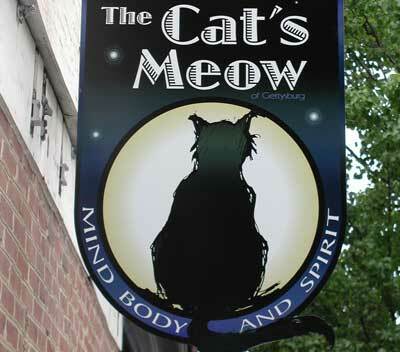 The Cat's Meow : Logo Design; Hanging MDO Plywood sign with Digitally Printed Graphics. 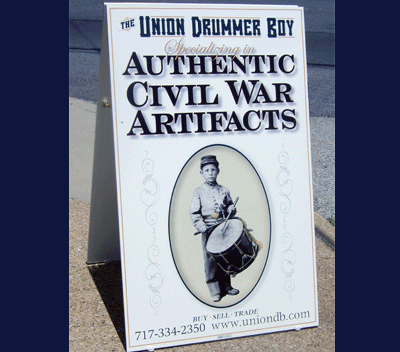 The Union Drummer Boy : Photo reproduction; MDO plywood A-frame/sidewalk sign with Digitally Printed Graphics. 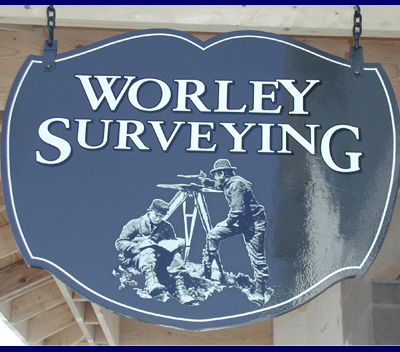 Worley Surveying : Photo reproduction; MDO plywood hanging sign with Digitally Printed Graphics.